Listeners have enjoyed classical music recordings for more than a century, yet important issues about recorded performances have been little explored. What is the relationship between performance and recording? How are modern audiences affected by the trends set in motion by the recording era? What is the impact of recordings on the lives of musicians? In this wide-ranging book, Robert Philip extends the scope of his earlier pioneering book, Early Recordings and Musical Style: Changing Tastes in Instrumental Performance 1900–1950. Philip here considers the interaction between music-making and recording throughout the entire twentieth century. 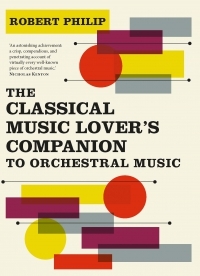 The author compares the lives of musicians and audiences in the years before recordings with those of today. He examines such diverse and sometimes contentious topics as changing attitudes toward freedom of expression, the authority of recordings made by or approved by composers, the globalization of performing styles, and the rise of the period instrument movement. Philip concludes with a thought-provoking discussion of the future of classical music performance. Robert Philip is lecturer in music, The Open University. He has extensive experience as a music performer, critic, broadcaster, and writer.